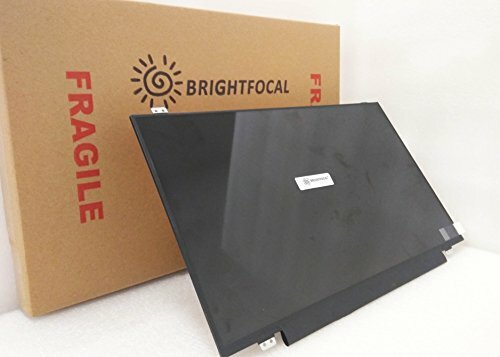 BRIGHTFOCAL NEW SCREEN FOR HP Compaq 708771-001 B140RTN03.1 Compatible 14.0'' HD+ WXGA++ SLIM LCD LED REPLACEMENT LCD Screen Display by BRIGHTFOCAL at Andy Pemberton. MPN: BF-1367. Hurry! Limited time offer. Offer valid only while supplies last. Package includes Brand NEW LCD screen only, no extra control board, bezel, back cover, instruction or tool etc. Please keep your original parts. Please confirm with us if you are not sure which parts fit your machine. If you have any questions about this product by BRIGHTFOCAL, contact us by completing and submitting the form below. If you are looking for a specif part number, please include it with your message.